China Defense Blog: Ships under construction, a quick update. 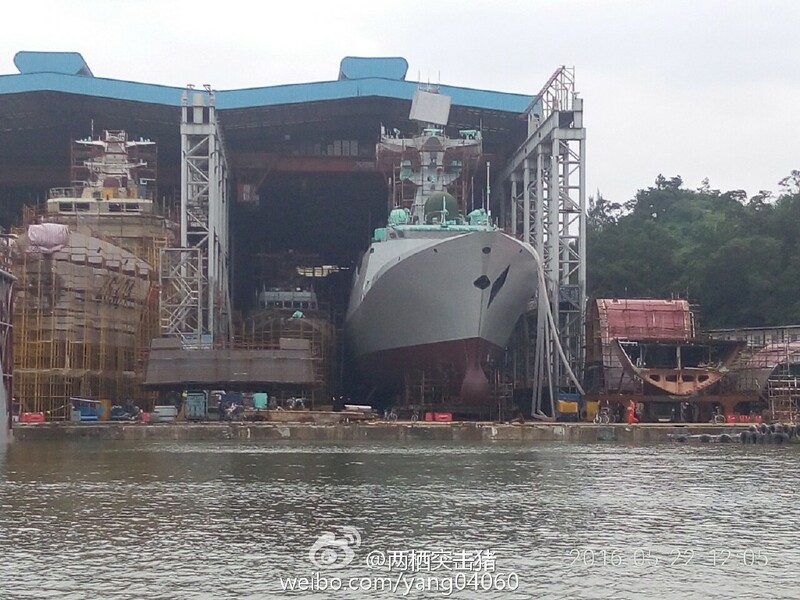 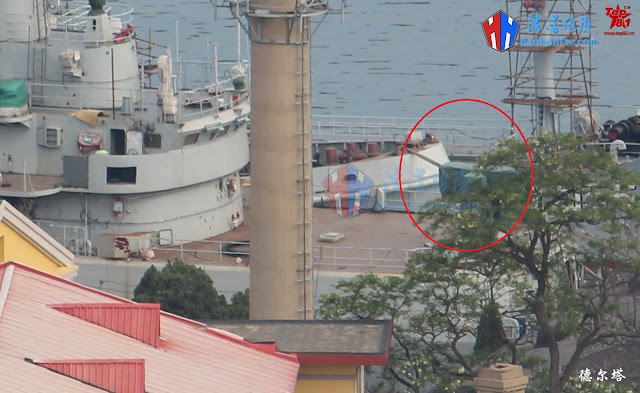 24th Type054A FFG getting ready to launch at Huangpu shipyard. 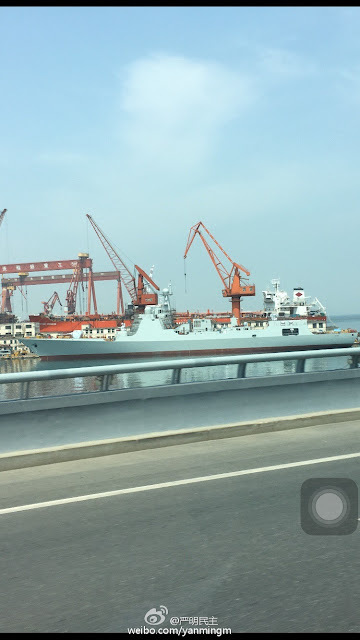 Not exactly under construction but the old JiangWei Class is getting a HQ-10 SAM upgrade.